The York County Courthouse in South Carolina is once again host to a decorative Confederate flag, hearkening back to the state's past days of secession. Officials returned the confederate flag to the premises after the clerk of court was informed that removing said decorations was illegal. Clerk of Court David Hamilton originally sought to remove the flag from the courthouse, along with portraits of Confederate generals. "It is a different time," said Hamilton. "When we looked at the historical items that included Civil War era items. This is a new era and time, and it is time to move on." Some of the reasons legal authorities originally moved to rid the facility of Confederate materials due to legal precedents set before his time. 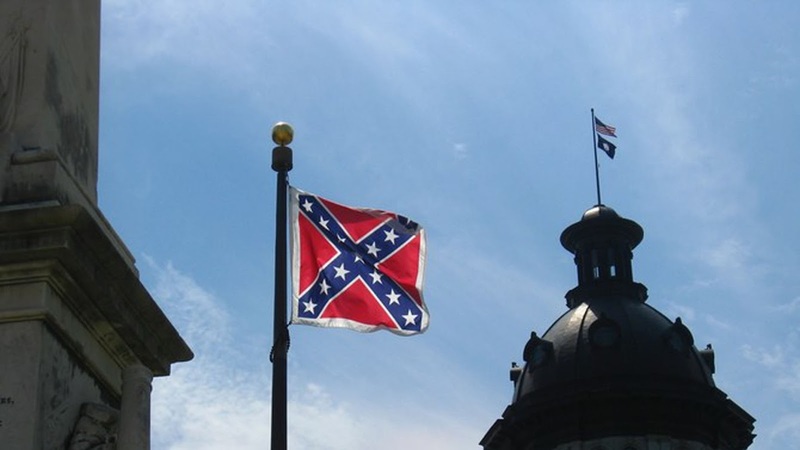 One case that reportedly occurred over 20 years prior produced a similar result: An African American defendant asked that a Confederate flag be removed from the rear of a courtroom, or that the trial take place in a different courtroom, according to The Herald. "It was an issue, the flag and the pictures in the courtroom, that was raised in court," said Kevin Brackett, 16th Circuit Solicitor. Two defense lawyers, Tom Kinney and Harry Dest, agreed with Hamilton's decision to remove Confederate memorabilia from York County Courthouse. "There is no place in a court of law, a place of justice for all, for the Confederate flag," expressed McKinney. At the time of the flag removal, Hamilton's case and decision was corroborated by many legal authorities. "A courtroom is meant to provide justice for everyone equally," said Montrio Belton, Treasurer of the York County Bar Association. "The halls of justice mean everyone is equal. But the Confederate flag in a courtroom says something to people of color, that some way they might be disenfranchised." After he went public with his intentions to remove any Confederate memorabilia from the courthouse, state officials informed Hamilton that doing so was in direct violation of the Heritage Act, according to WFMY. After Hamilton publicly expressed his intentions to remove the Confederate items, state officials performed a legal review of any possible breach of the law. "The decision to change course and put the items back in the courtroom came after additional research, and is one hundred percent not my personal feelings one way or another," explained Hamilton. "This decision is to be in compliance with a more strict interpretation of the Heritage Act."